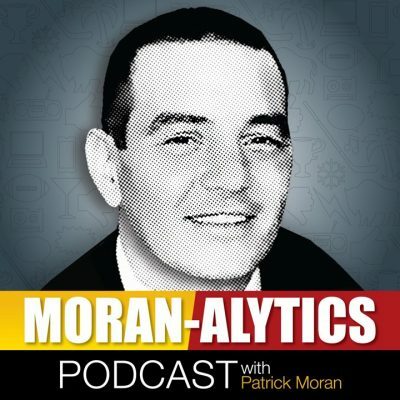 On this episode of the Moran-Alytics Podcast, Patrick Moran hooks up with his buddy Tone Pucks for an extended edition of “Pat with Pucks” to gab Buffalo Bills, Buffalo Sabres, UB Bulls and MLB World Series. The Bills were humiliated in Indianapolis Sunday by the previously one-win Colts, 37-5. It was an afternoon where the offense turned the ball over five times and the defense was no better — powerless to stop neither Andrew Luck nor the suddenly potent Indianapolis run game. Moran and Pucks sift through the mess, or at least what they saw from it after each admitted neither stuck around to see all four quarters. Is this the worst Bills offense ever? Does it really matter if Derek Anderson or Nate Peterman are the quarterback? How many players on the offensive side of the ball will be back in 2019? Why does Bills radio announcer John Murphy says Bills quarterbacks “fired” the ball so often? If this is an elite defense then why did the unit look like it quit in Indy? How much blame should Sean McDermott receive and has the shine worn off the Bills second-year head coach? All these Bills topics and more are discussed. The two also talk the Sabres and their surprising 5-4 start over their first night games; a beginning to the season that had Pucks eating his own Twitter words over the weekend. Thoughts on Jeff Skinner, Rasmus Dahlin, Sam Reinhart and Buffalo’s goaltenders are also hit on during this segment. Not to be forgotten are the 7-1 UB Bulls and a huge ESPN2 home contest looming against Ohio on Tuesday, October 30th as well as World Series predictions between the Boston Red Sox and Los Angeles Dodgers. This episode concludes with a “Puck Drop” on Sabres general manager Jason Botterill, the “Pat Peeve of the Week” on the NFL not flexing the Bills out of Monday Night Football and Moran shouting out the potential for a Mariah Carey implosion at an upcoming Buffalo concert next spring.